Sometimes I crave lentils and sometimes I crave cookies. More often the latter. I love me some legumes, but lezbehonest—there’s a time and a place for nommy dark chocolate, salty chips, and crunchy crackers. I’m not the dietitian that’s gonna recommend carrot or celery sticks when my client says they’re having crunchy, salty cravings. That’s just plain unrealistic. If I want a cookie, I want a freaking cookie, I’m gonna eat a cookie and that’s that. But there just so happens to be some tricks of the trade when it comes to squashing those snack cravings. We’re going to meet in the middle of spectrum. These aren’t carrot sticks, but they’re not straight up potato chips either. I always have these goodies on hand for when the hunger beast strikes and for when feeding that beast vegetable sticks will only make it hangrier. 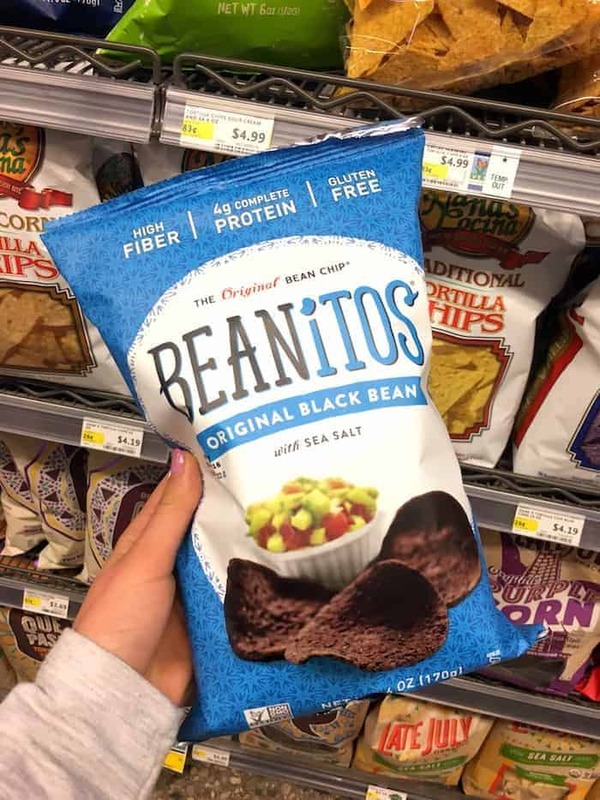 Try Beanitos. It’s not like fried tortillas are the devil, but why not sneak in some fiber from whole beans while you’re at it? These chippies have way more fiber and protein than the typical chip, so the idea is that you won’t have to eat the whole bag to satisfy your cravings. I guarantee they’ll become a favorite among health nuts and junk food addicts alike. 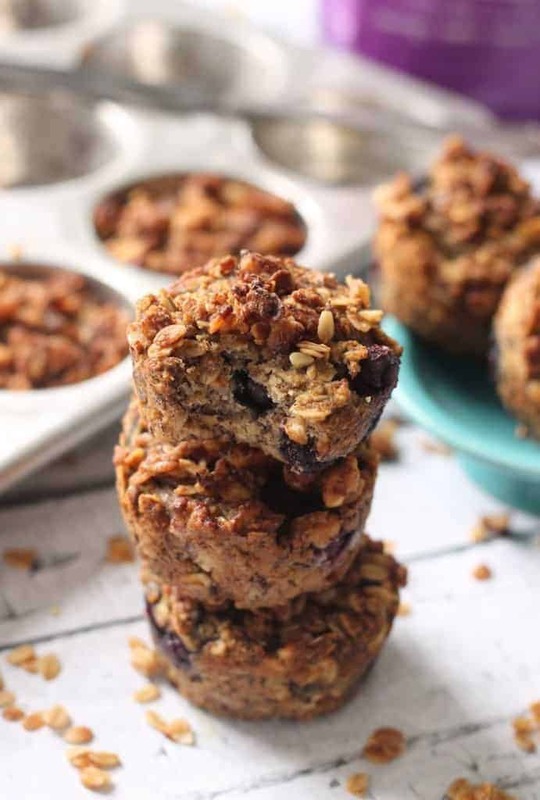 The flavor and texture is spot on; and you’d never guess they were made with beans! 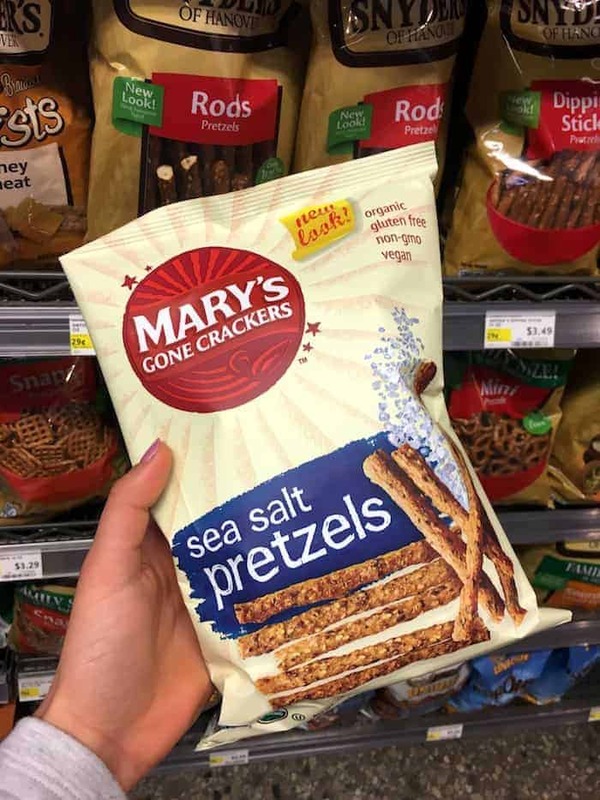 Try Mary’s Gone Crackers. Let’s get something straight. Pretzels are not a healthy snack. They’re essentially baked, salted white flour with a little oil and baking soda. Whole wheat pretzels can be super dry, but these snacks are packed with whole grains and healthy fats like chia seeds, flax seeds, quinoa, brown rice, and tamari for that key salty kick. The crunch is SPOT ON. Try brown rice cakes. 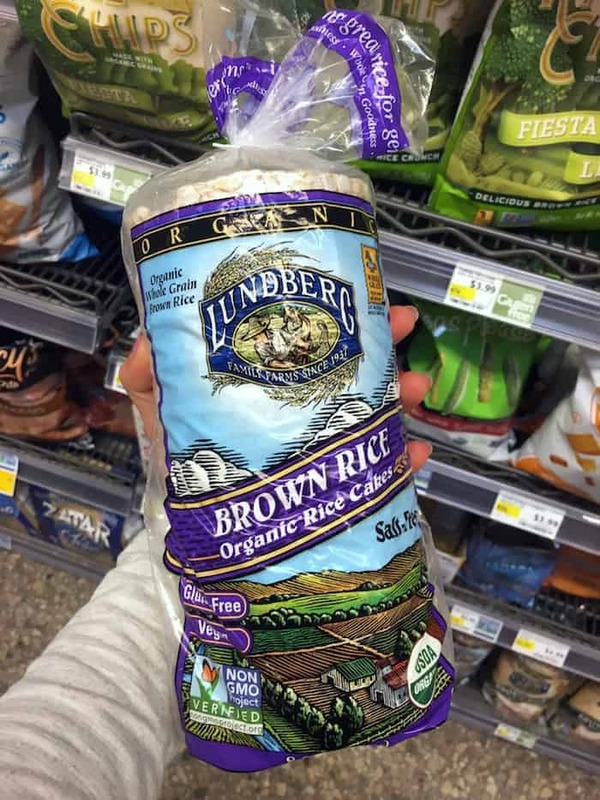 I like Lundberg Farms because they’re made with twice the rice, so rather than having the texture of styrofoam, they actually have great crunch. All they are is puffed brown rice, so you can go sweet or salty. If I’m feeling savory, I’ll dip them in Oasis roasted garlic hummus with hot sauce or spread one with avocado. If I’m craving sweet, I’ll do nut butter, sliced banana, and cinnamon. SO versatile! My friends at Simple Mills (remember these grain-free raspberry chocolate cookies?) just came out with these incredible grain-free crackers made primarily with nuts, and they taste just like your favorite cracker. The sea salt and rosemary flavors are to die for! 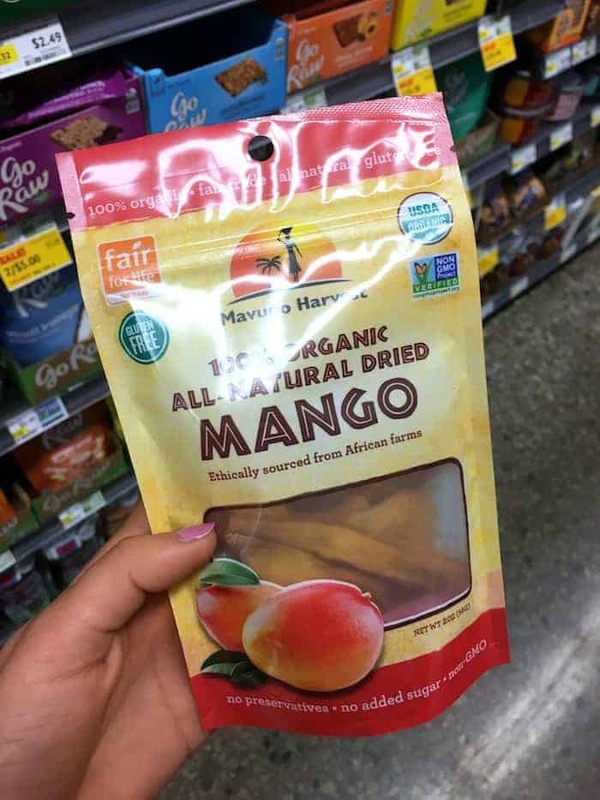 Try dried mango. When’s the last time you even laid mouth on one of those bad boys?! Dried mango has been my obsession lately. It’s like chewy, naturally sweetened candy. Now beware—since this is dried fruit, the sugar is more concentrated. Moral of the story? Stick to the serving size so you don’t go into sugar overload. Try roasted chickpeas. My favorite brand is Watusee Foods. In fact, we just started selling their organic chickpeatos at Alchemy! 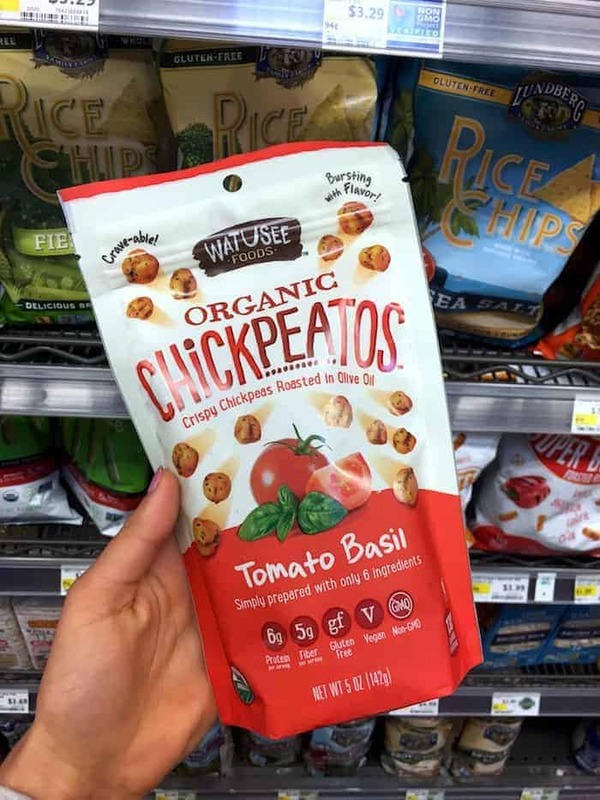 Roasted chickpeas are gaining popularity in the health food aisle, but beware of ones with yeast extract, a hidden form of MSG. Because of their awesome crunch and flavor, roasted chickpeas make a spectacular substitute for croutons. I adore the rosemary flavor, but the cinnamon ones are awesome, too! 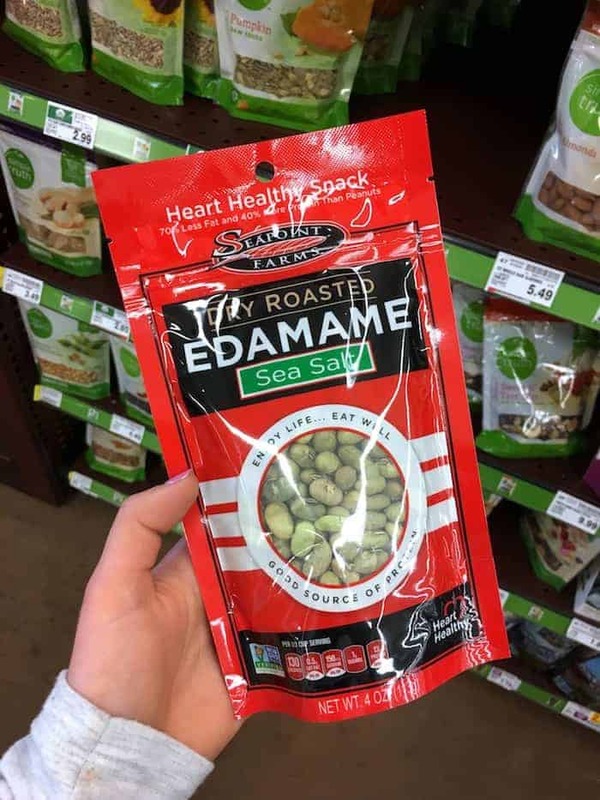 Dry roasted edamame is another crunchy, high-protein snack I always recommend to clients. Make sure they’re non-GMO, like Seapoint Farms. It’s less than two dollars a bag—score! Try So Delicious minis vanilla ice cream sandwiches. First of all, they’re adorable (hello, portion control!). 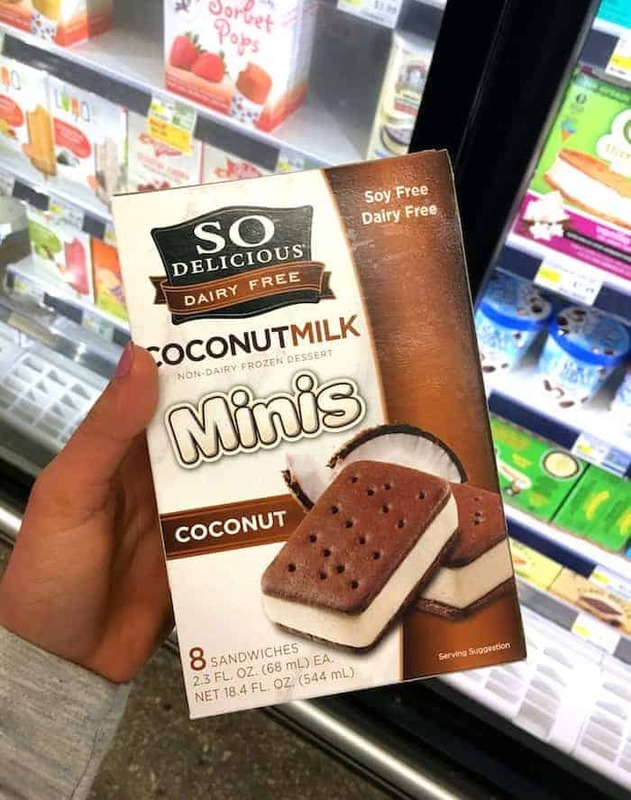 Second of all, they’re made with coconut milk so you still get that decadent creaminess of traditional dairy ice cream. Coconut Bliss is another fabulous brand made with wholesome ingredients that doesn’t sacrifice in the taste department. Try Kite Hill soft fresh truffle dill and chive. Ok wait. Is cheese spread a thing? I think it’s a thing. I am the last person to recommend the typical processed vegan cheese substitutes—there’s a reason you never see them on this blog. But I tried Kite Hill for the first time a few weeks ago and I was extremely impressed. I like that the products are made with almonds rather than soy. It truly tastes cheesy and has that key creamy texture of a typical cheese spread. I guarantee your guests wouldn’t know the difference! 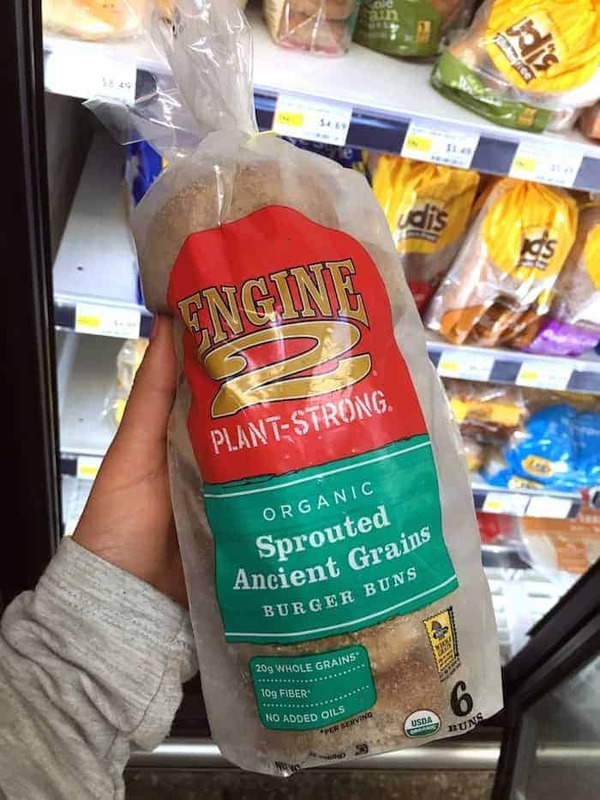 Try sprouted grain bagels. The same goes for bread, tortillas, buns, and English muffins. Why sprouted? 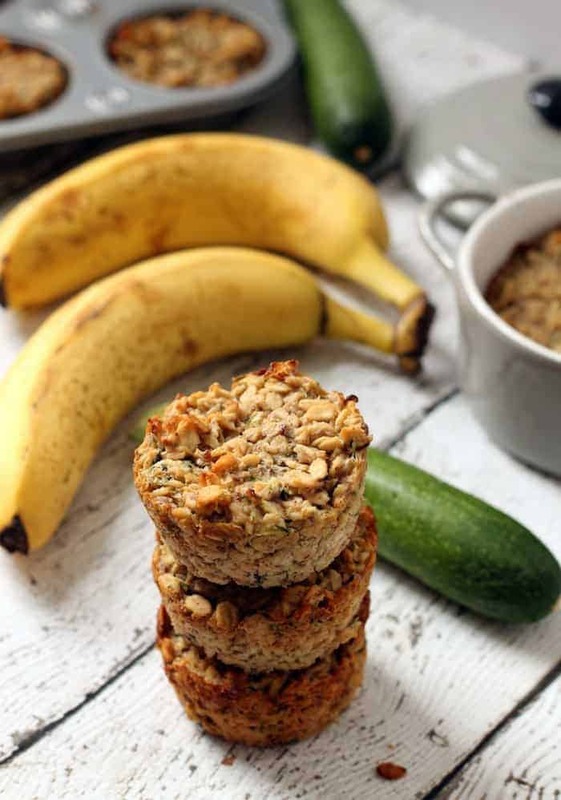 Sprouting grains helps improve digestibility by breaking down the starches in grains, increase absorption by breaking down enzyme inhibitors, and increase antioxidant content. Think of these as a higher protein, more wholesome bread option. This is not a sponsored post. Just sharing a few of my favorite go-to brands! I always a bit envy when I see post like this! I am healthy living blogger from Russia and we don`t have this good stuff in our area. I am gonna make some roasted chickpea at home, though. So many good things here!!! 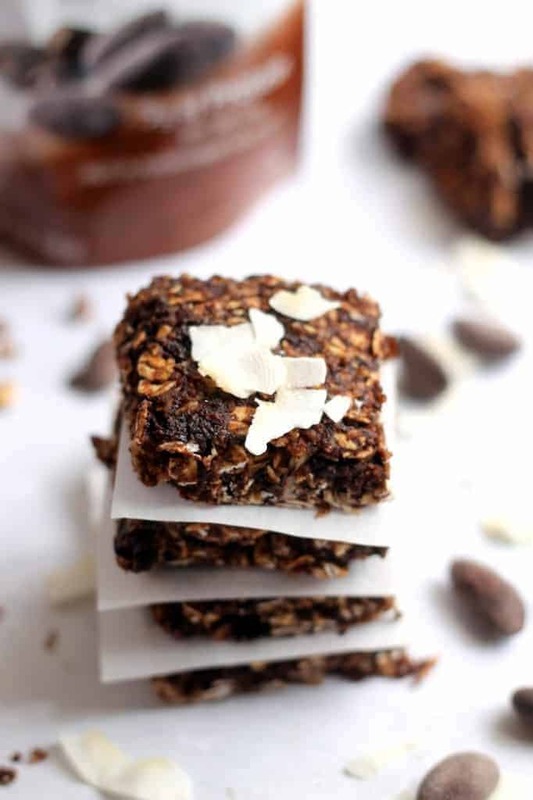 Rice cakes are always a favorite of mine- especially with almond butter, banana, and cacao nibs! Crispy chickpeas have my hummus-loving heart. <333 Absolutely love all of these products!! 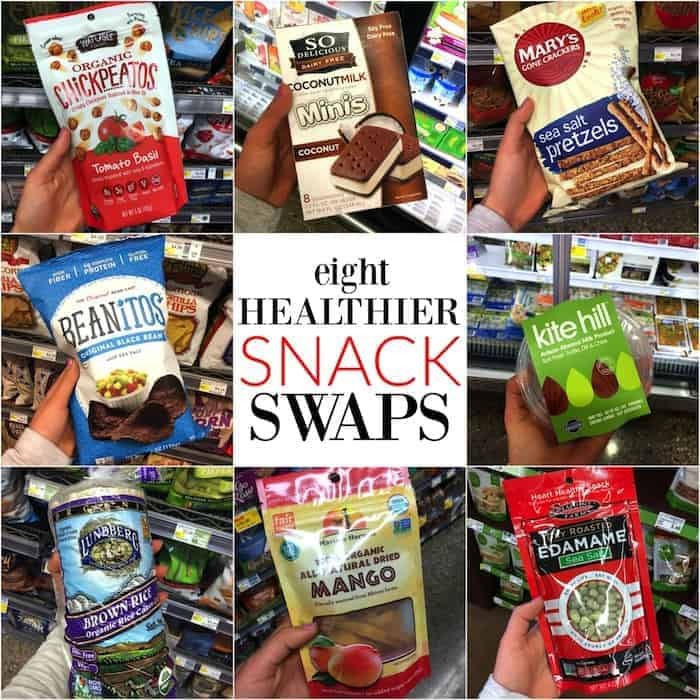 Love love loooove these snack swaps! and I agree, when I want something crunchy and salty, a carrot stick isn’t going to cut it, haha. Loved this post! I have tried most of these products, but a few are new to me- will definitely be trying them out soon! except for the coconut, i love all of these!! 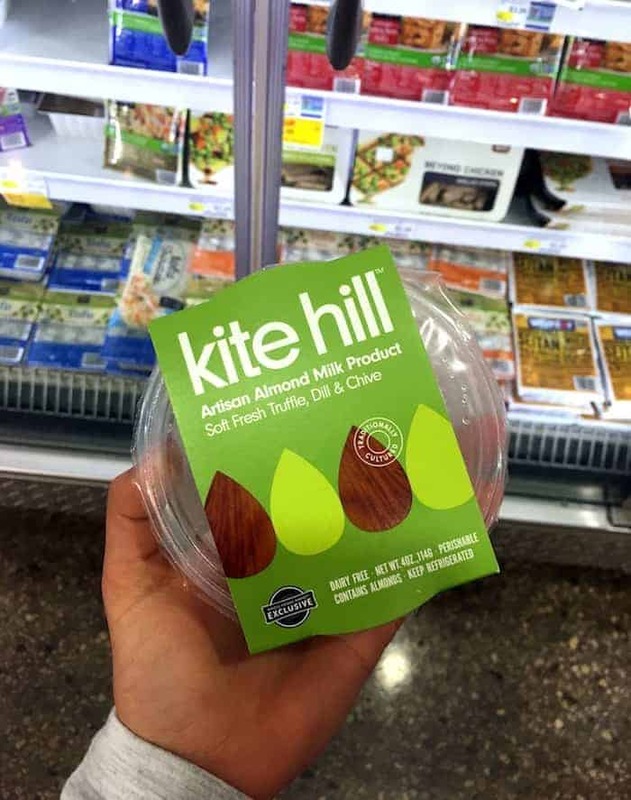 i’m wary to try the kite hill cheese though because it is $$$$! I agree that if always given the choice, I would totally choose those over the other option. But being realistic, all that stuff is about three times more expensive than everything else. If I really want it, I’ll buy it, but all the time? No way. I eat really healthy, and don’t mind spending money on food, but when I can pay $2 for rice cakes that only have two ingredients but aren’t name brand or a $4 bag of organic brown rice cakes or whole fruit over expensive dried fruit, I know what I’m going to do. Love all your alternatives for snacks. I ma gluten free,egg and dairy free so it makes life a bit difficult.